Central Asia is increasingly important to Romania. Over the past few years, Bucharest has taken significant steps to strengthen its relations with the Central Asian republics, particularly with Kazakhstan, Turkmenistan and Uzbekistan. Political dialogue between Romania and Central Asia focuses mainly on energy matters. Romania is strategically located on the coast of the Black Sea, the key access route to the European market for Caspian Sea energy resources. Establishing new transport routes for Caspian oil and gas to reach Europe through the Black Sea will help reduce European dependence on Russian gas. 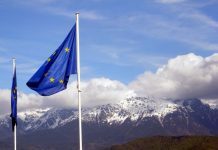 Romania’s policies towards the promotion of democracy, human rights, good governance and the rule of law are compliant with European Union (EU) policies for Central Asian republics, as outlined in the 2007 EU Strategy for Central Asia. However, Romania delegates the majority of these matters to EU institutions. Bucharest is more interested in promoting its own – primarily economic and energy- related – interests. 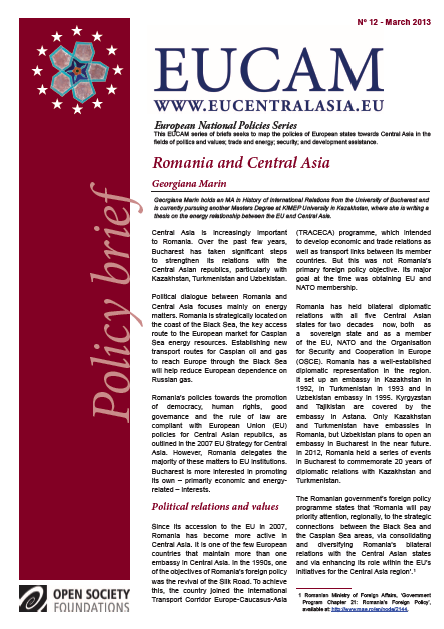 Since its accession to the EU in 2007, Romania has become more active in Central Asia. It is one of the few European countries that maintain more than one embassy in Central Asia. In the 1990s, one of the objectives of Romania’s foreign policy was the revival of the Silk Road. 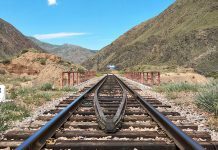 To achieve this, the country joined the International Transport Corridor Europe-Caucasus-Asia (TRACECA) programme, which intended to develop economic and trade relations as well as transport links between its member countries. But this was not Romania’s primary foreign policy objective. Its major goal at the time was obtaining EU and NATO membership. Romania has held bilateral diplomatic relations with all five Central Asian states for two decades now, both as a sovereign state and as a member of the EU, NATO and the Organisation for Security and Cooperation in Europe (OSCE). Romania has a well-established diplomatic representation in the region. It set up an embassy in Kazakhstan in 1992, in Turkmenistan in 1993 and in Uzbekistan embassy in 1995. Kyrgyzstan and Tajikistan are covered by the embassy in Astana. Only Kazakhstan and Turkmenistan have embassies in Romania, but Uzbekistan plans to open an embassy in Bucharest in the near future. In 2012, Romania held a series of events in Bucharest to commemorate 20 years of diplomatic relations with Kazakhstan and Turkmenistan. Romania supports the 2007 EU Central Asia Strategy for a New Partnership and believes in the importance of promoting democracy, human rights, good governance and the rule of law in the region. It considers these public goods to be essential for Central Asia’s stability and security. 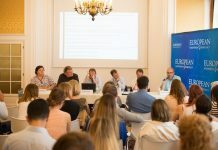 Bucharest promotes these values through both EU mechanisms and programmes led by international organisations such as the OSCE and the United Nations. Romania also supports OSCE centres and offices in Central Asia, and senior Romanian diplomats have headed up OSCE offices in Tajikistan and Turkmenistan. Romanian officials have held multiple bilateral meetings with their counterparts in Central Asia. Kazakh President Nursultan Nazarbayev visited Romania in 1998 and 2007, and Romanian presidents Emil Constantinescu, Ion Iliescu and Traian Basescu visited Kazakhstan in 1999, 2003 and 2007, respectively. Kazakhstan is the Central Asian country with the strongest diplomatic ties to Romania and the two countries engage in continuous political dialogue and regular high-level meetings. The relationship is of strategic importance to Romania. The main area of cooperation between Astana and Bucharest is the energy sector and related industries. Romania supported Kazakhstan’s OSCE chairmanship in 2010 and its restructuring agenda. Romania also supported Astana’s nomination as the host of Expo 2017 by organising the art exhibition Astana-Capital of the Future in Bucharest in 2012. Romanian President Traian Basescu’s visit to Turkmenistan in October 2012 was the most recent visit by a top-level Romanian official to a Central Asian country. The Romanian president had previously visited Turkmenistan in July 2009. Turkmen President Saparmurat Niyazov visited Romania in 1994 and President Gurbanguly Berdymukhamedov went in 2008 and 2011. Relations between Romania and Turkmenistan are cordial; President Berdymukhamedov sees Romania as Turkmenistan’s ‘gateway to the European Union’. (2) Romania is one of the few EU countries to have active relations with Turkmenistan, probably coming third after Germany and France. As part of a Strategic Partnership between Romania and Turkmenistan adopted in 2009, a Mixed Intergovernmental Commission for Economic Cooperation and a Working Group for Energy were established in 2010. The groups have met every year since then. President Islam Karimov of Uzbekistan visited Romania in 1996 and the Romanian president went to Tashkent in 2003. Romania agreed to receive around 400 Uzbek refugees who had fled from Uzbekistan into Kyrgyzstan after the Andijan events in 2005. The Uzbek government requested their repatriation from Kyrgyzstan, but the United Nations High Commissioner for Refugees (UNHCR) decided that refugees be sent first to Romania, and after that, to other countries for permanent resettlement. Romania agreed to receive the refugees at a time when the country was itself recovering from extensive flooding; this gesture was much appreciated by the international community. (3) Four hundred and thirty-nine Uzbek refugees were sent from Bishkek to the Emergency Transit Centre in Timisoara in western Romania. Tashkent asked Romania to send back 234 refugees considered to be ‘terrorists’ by the Uzbek authorities, but Romania refused to repatriate them. Romania is mainly centred on developing its relationships with Kazakhstan, Turkmenistan and Uzbekistan. 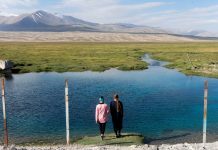 Relations with Kyrgyzstan and Tajikistan are underdeveloped, since these countries offer limited economic opportunities and Romania is not an active aid donor in either country. The most recent high- level visit to Tajikistan by a Romanian official was that of the Minister of Foreign Affairs in June 2001. In October 2012, efforts to strengthen the economic relationship between Kazakhstan and Romania resulted in the establishment of the Romania-Kazakhstan Business Council. The organisation is the second of this kind to be established in Romania, after the Romania-United States Business Council. Its role is to promote bilateral economic exchange and to strengthen cooperation between the two economies. Kazakhstan is one of the most important foreign investors in Romania. Kazakh companies have invested more than $3 billion (€2.25 billion) in the Romanian economy, the largest investment made by Kazakhstan in any country in Europe. There are more than 35 joint Kazakh-Romanian companies active in the fields of oil, gas, construction and transportation, and 13 Kazakh-owned companies are active in the Romanian market. Turkmenistan is Romania’s second largest trading partner in Central Asia. In 2011, the trade balance stood at $60 million (€45 million), registering a 191 per cent increased compared to 2010. To improve bilateral trade, Romania and Turkmenistan agreed to establish a Mixed Intergovernmental Commission for Economic Cooperation in 2009. A Working Group for Energy Cooperation was also established to build energy relations and a Working Group for Transportation is currently being developed. Romania has stressed the importance of cooperation between the ports of Constanta and Turkmenbashi in creating an inter-regional transport corridor between the Black Sea and the Caspian Sea. A commodities transport corridor between Turkmenbashi and Constanta to connect Turkmenistan with the European market was agreed in 2011. The goods are to be shipped from Turkmenbashi on the Caspian Sea through Azerbaijan and Georgia and then to Constanta by ferry from the ports of Batumi and Poti. However, this part of the corridor has yet to be built. Romania is one of the biggest promoters of the Nabucco pipeline project. Bucharest supports the establishment of a Trans-Caspian corridor to export Caspian Sea gas to Europe. Romania is a riverine state on the Black Sea, which is one of the most important world corridors for energy supply and has huge potential in terms of the transfer of natural gas from the Caspian region to European markets. Romania believes that the Nabucco project could be one of the core elements of the Southern Corridor. Bucharest is also one of the initiators of the Pan-European Oil Pipeline (PEOP) and supports other projects such as the Azerbaijan-Georgia-Romania liquefied natural gas transport project (AGRI). These projects aim at diversifying natural gas transit routes and reducing dependence on Russian gas. Romania’s dependence on energy imports is lower than the EU-27 average. The country only imports 20 per cent of its energy needs, mostly from Russia and Kazakhstan. At the same time, however, Romanians pay one of the highest prices in the EU (about €340 for 1,000 cubic metres of gas) and the country needs to continue diversifying its supply. Romania’s exports to Turkmenistan consist mostly of construction equipment, electric equipment and metals. Imports are almost exclusively oil and related goods. Some Romanian companies are interested in entering the Turkmen market. For example, in 2013 Romanian power company Romelectro will tender for a contract worth €1 billion to build a network of power lines between Ashgabat and Turkmenbashi. Also in 2013, communication firm SIVECO hopes to win a contract to create a communications system for Turkmen ministries. (7) Other Romanian companies are interested in obtaining Turkmen contracts for providing oil equipment and maintenance. Bilateral trade between Romania and Uzbekistan is rising after the visit of the Romanian Foreign Minister to Tashkent, which aimed at expanding economic and commercial ties between the two countries. The visit resulted in the proposal of an ‘Action Plan for the Development of Cooperation between Uzbekistan and Romania’ by the Uzbek Ministry of Foreign Affairs. (8) In 2011, trade between Romania and Uzbekistan was worth $32.5 million (€24.3 million), which represents a 74.9 percent increase compared to 2010. After Bulgaria’s and Romania’s accession to the EU, the Black Sea became a key strategic region for the EU. In this context, Central Asia is important to Romania’s national security interests. It is particularly implicated in energy security, since potential future instability in Central Asia could threaten Romania’s energy security. Other possible threats include terrorism and the illegal drug trade from Afghanistan. Romania provides no direct development aid to the Central Asian republics, but as a member of the EU, the OSCE, NATO and the United Nations, it supports these organisations’ programmes in the region. The Romanian Ministry of Foreign Affairs manages development assistance through the Development Assistance Unit (UAsD). Bucharest has three priority countries for aid: the Republic of Moldova, Georgia and Serbia. 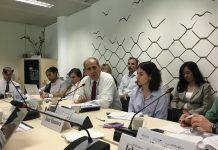 Even though Central Asia is not a priority for Romanian bilateral assistance, the Romanian Diplomatic Institute in Bucharest has run short-term training courses for junior Central Asian diplomats in cooperation with the Ministry of Foreign Affairs and UNDP. Romania has signed education cooperation agreements with Kazakhstan and Turkmenistan. As part of these agreements, Romania awards 25 scholarships every year to Turkmen students who want to study in Romania. (12) Several Kazakh students are also currently studying in Romania. Furthermore, Romania and Kazakhstan have established a joint educational programme at Aktau University. (13) The Maritime University of Constanta has opened a branch in Aktau, which runs programmes for training naval officers and electrical engineers. The teaching staff is Romanian and graduates will receive both Romanian and Kazakh diplomas. (14) Some friendship associations and cultural initiatives also exist, mostly between Romania and Kazakhstan. 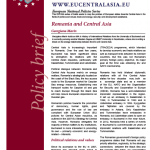 But overall, there is very little public awareness in Romania of the Central Asia region. Romania is deepening its political relations with the Central Asian states, especially Kazakhstan and Turkmenistan. The establishment of the Romania-Kazakhstan Business Council, as a result of a Strategic Partnership between Astana and Bucharest, is worth highlighting. 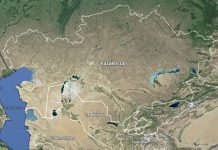 Romania’s relationship with Turkmenistan focuses mostly on energy cooperation, and talks have been held on a new Eurasian transport corridor from the port of Turkmenbashi to the port of Constanta. Romania and Turkmenistan share mutual interests in the energy field, since Turkmen gas is of great importance to Nabucco and AGRI, both strongly supported by Bucharest. Romania has focused on promoting energy cooperation in Central Asia. Bucharest is committed to supporting the implementation of three important energy projects in the wider Black Sea region: Nabucco, the AGRI and the PEOP. These projects are important elements of the Southern Corridor, which will contribute to Europe’s energy security. Energy cooperation offers opportunities for increased collaboration, particularly in the economic sphere. Central Asian goods could potentially enter Europe through Romania. 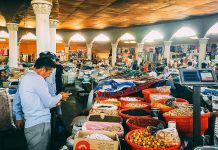 Furthermore, the economic crisis has made the Central Asian markets more attractive, particularly the Kazakhstani one, due to investment promotion measures taken by the country’s political leadership. Although political relations between Romania and Central Asia are fairly good and stable, economic relations, in terms of trade figures, remain meagre and could be improved. It is likely that Bucharest will become further involved in the region, especially given Central Asia’s growing significance within Romania’s foreign policy paradigm. Romanian Ministry of Foreign Affairs, ‘Government Program Chapter 21: Romania’s Foreign Policy’, available at: http://www.mae.ro/en/node/2144. Mediafax, ‘Băsescu: Firme româneşti ca Romelectro şi SIVECO, interesate să intre pe piaţa din Turkmenistan’, Press release during the visit of the Romanian President to Ashgabat, Mediafax.ro, 11 October 2012, available at: http://www.mediafax.ro/economic/basescu-firme-romanesti-ca-romelectro-si-siveco-interesate-sa-intre-pepiata-din-turkmenistan-10195062. UNHCR, ‘Uzbek refugees set to fly from Kyrgyzstan to Romania’, 28 July 2005, available at: http://www.unhcr.org/42e90d084.html. The trade figures presented in this section are available on the Romanian Ministry of Foreign Affairs’ website: at http://old.mae.ro/en/romanian-missions. Embassy of Romania in the Republic of Kazakhstan, ‘Bilateral Relations: Economic Relations’, available at: http://astana.mae.ro/en/node/395. IRICE, ‘Romania-Kazakhstan Business Council starts operation in Bucharest’, Institute of International Relations and Economic Cooperation, 8 October 2012, available at: http://iricer.webs.com/apps/blog/show/19251450-romania-kazakhstanbusiness-council-starts-operation-in-bucharest-. Mediafax, op. cit., 11 October 2012. Romania Ministry of Foreign Affairs, ‘Uzbekistan’, available at: http://www.mae.ro/bilateral-relations/4500. Romania’s Permanent Delegation to NATO, ‘Romania in Afghanistan’, available at: http://nato.mae.ro/en/node/371. Romania Ministry of Foreign Affairs, ‘Turkmenistan’, available at: http://www.mae.ro/bilateral-relations/4498#792. IRICE, ‘The friendship visit of a Romanian delegation to Kazakhstan’, Institute of International Relations and Economic Cooperation, 26 November 2012, available at: http://iricer.webs.com/apps/blog/show/20382775-the-friendship-visit-of-romaniandelegation-to-kazakhstan-. Esenov Caspian State University of Technology and Engineering, ‘International accreditation process was successful’, 18 July 2012, available at: http://kguti.kz/en/%D1%81%D0%BE%D0%B1%D1%8B%D1%82%D0%B8%D1%8F/internationalaccreditation-process-was-successful.html.